With the launch of the new Dribbble Shop, we’re excited to highlight some of the amazing designers behind the products for sale. This week, get to know Peter Laxalt, designer and co-owner at Laxalt & McIver as he gives us an inside look into the designs he created especially for the Dribbble community. Shout-out to our very own Hallie Rose Taylor for painting this sweet watercolor portrait of Peter! Tell us about yourself and how you got started on Dribbble. My name is Peter Laxalt and I’m a 25-year-old artist of many mediums from Reno, Nevada currently residing in Brooklyn, New York. I’m one of the partners behind Laxalt & McIver. I grew up with graffiti, rock and roll, skateboarding, and sign painting and eventually made the transition into graphic design and illustration in the past ten years, as well as more recently exploring front-end development in the past five years. 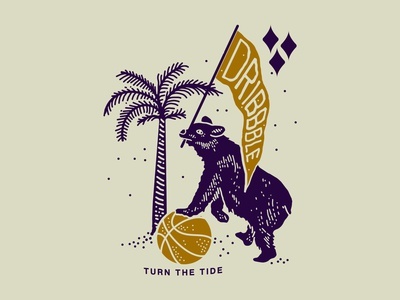 I found Dribbble around six years ago or so. I lurked quite a bit and wasn’t exactly determined to pursue any sort of digital design at that point in my life. I had the know-how but I had my priorities elsewhere. I closely followed some of my biggest inspirations like Martin Schmetzer and Chad Michael primarily due to the dedication and utter tediousness in their work that I’d get lost in. From there, I think my design career found me rather than the other way around. I wasn’t exactly doing great in my life at that point—mostly just being young and getting in trouble. No regrets, man. Dribbble slowly became a community that I wanted to contribute to and start teaching myself about a wide range of design styles. Around 2014, I got invited after lurking for a while and I would say my profile has been pretty accurate of my progression in design as well as my life. Six years and more than a few sleepless nights later, I have to give Dribbble quite a bit of credit for where I am and where my company has headed as well. 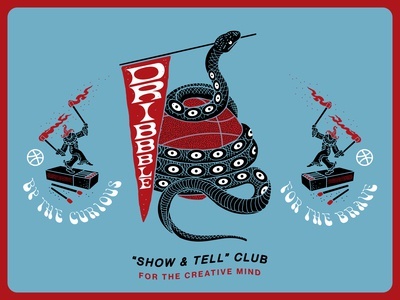 Behind the design: Elaborate on your inspiration and the design process behind the items you made for the Dribbble shop. Blurring the lines of the competitive and athletic aspect of Dribbble’s core brand concept with being accepted was really important to me. That point of focus came out in the Bear concept where I flipped passing the ball on the court on its head to “Everything Passes”—framing the community in a light of acceptance and growth. How has the Dribbble community helped you grow as a designer? Without a doubt, the Dribbble community has been very important to my development as a designer. I’ve definitely had my key inspirations right here in front of me and have also been continually inspired by many different styles in my life. I just love to learn and see how people are pushing the ballot every day. The Dribbble community has been key to my encouragement when I’m feeling defeated and has also come through so strongly in terms of my friendships with peers (Hi Hondro and Rafa). 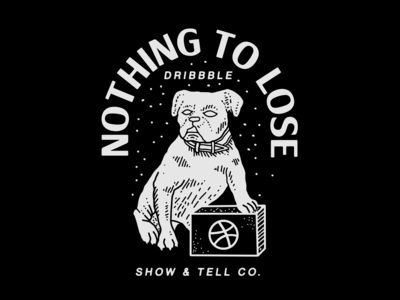 The Dribbble community has been key to my encouragement when I’m feeling defeated. The Dribbble community is absolutely responsible for some of the most life-changing things that have happened to me—from cleaning up my act (no regrets!) to starting the L&M Studio, to having the opportunity to travel all over the world in pursuit of creativity. The Dribbble community taught me what type of leader I wanted to be and kept me minding my Ps & Qs throughout each fundamental stage of my career. Tell us something about yourself we, and the community, may not already know. I practice tattoo flash, paint canvases in my free time, and have been genuinely considering diving deeper into the tattoo industry—hopefully I’ll have a couple of gallery shows in the next five years. We’ll see! What hashtag should designers use to share photos of your sweet gear? Snag Peter’s custom designed gear in the Dribbble shop and keep up with him on Dribbble, Instagram, and at Laxaltandmciver.co. Find more Interviews stories on our blog Courtside. Have a suggestion? Contact stories@dribbble.com.